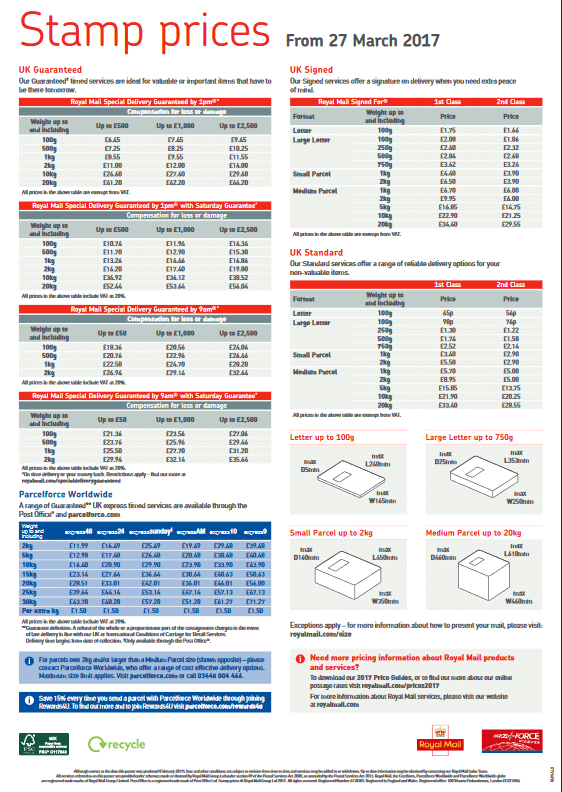 Currently, Royal Mail charges different prices for franked mail depending on whether your machine uses the latest Royal Mail Mailmark franking technology or not. While even standard franking rates are far less than regular stamps, the only way to get the best deal is to use a Mailmark franking machine. You learn more about how much franking machines cost here. 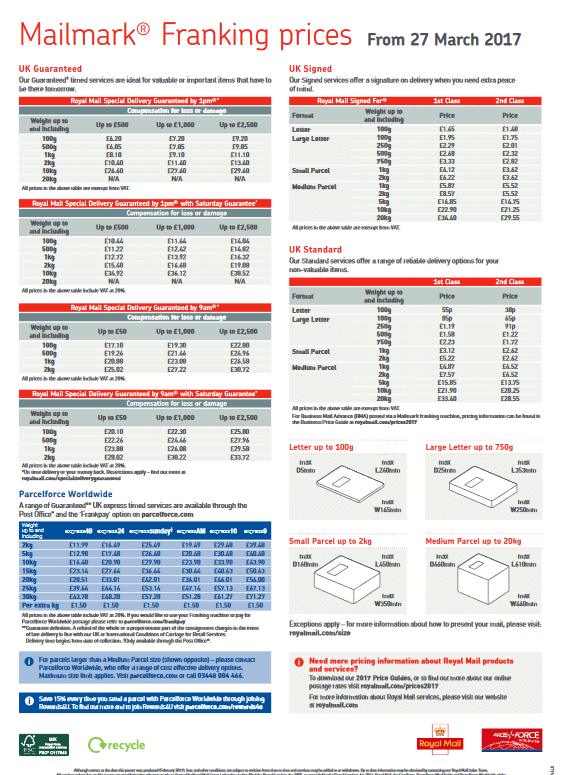 Below we’ve outlined how much you can expect to save based on Royal Mail’s current (27 March 2017) stamp and franking prices. 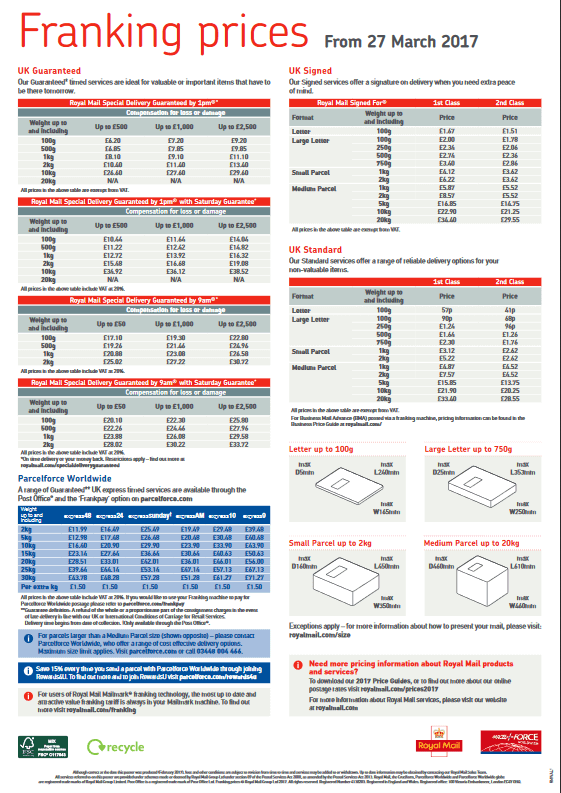 Below we’ve included the current (27 March 2017) stamp and franking price wall charts. Click on each one to visit Royal Mail and download the full sized one.